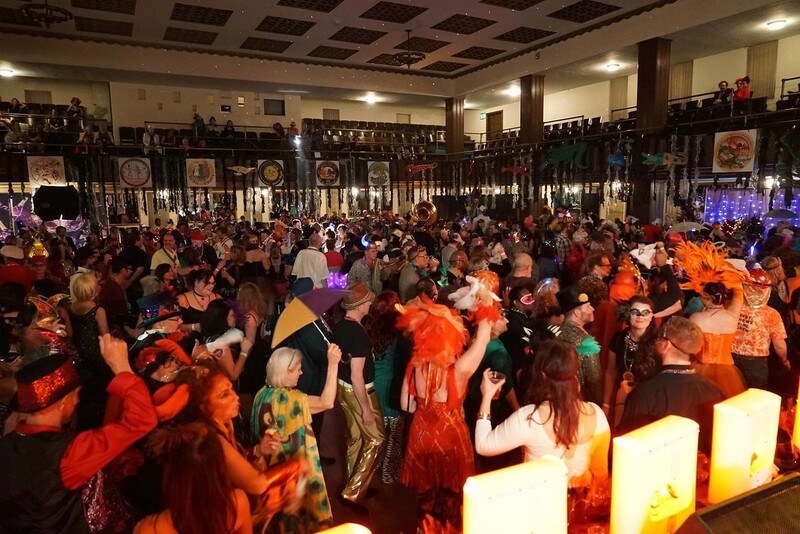 “Fire on the Bayou” was the theme for the 2017 Portland Mardi Gras Ball at the Tiffany Center Emerald Ballroom! 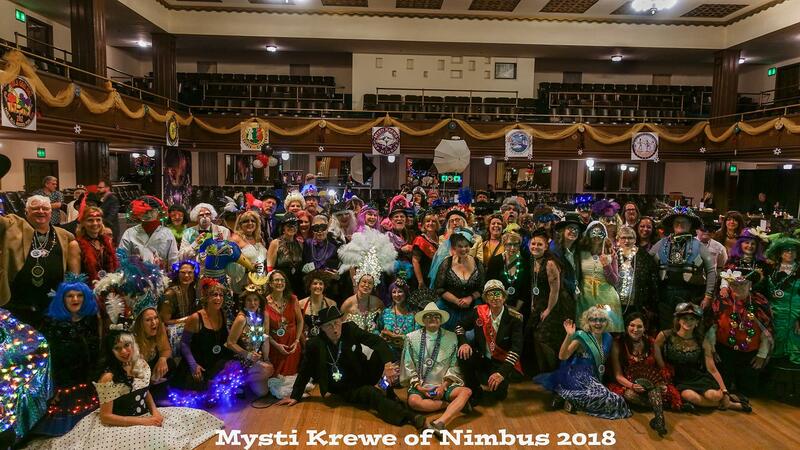 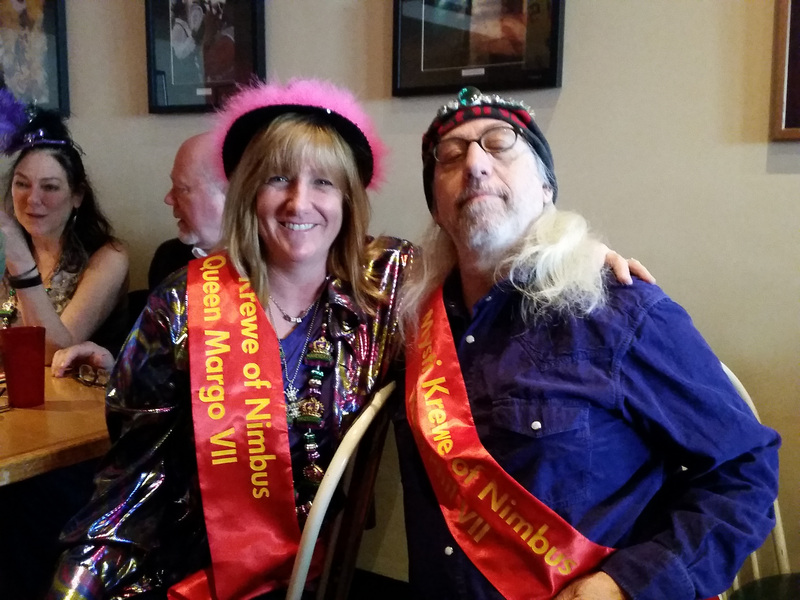 The Mysti Krewe of Nimbus moved the event from the Wonder Ballroom to an even larger space: downtown’s Tiffany Center Emerald Ballroom (1410 SW Morrison St.), which has the added benefit of nearby MAX service. 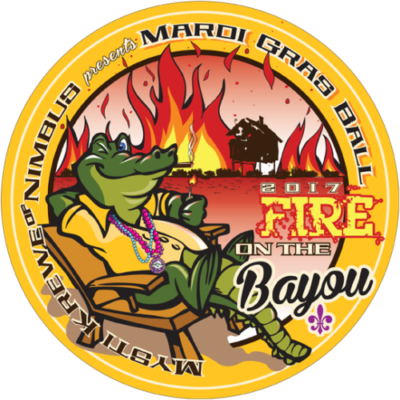 Also in keeping with the theme of “Fire on the Bayou” (based on the famous song by The Meters) online ticket purchasers could select an optional donation to the Wetlands Conservancy in Oregon and the Barataria-Terrebonne National Estuary Program in Louisiana which each work to support vital wetlands restoration and preservation. 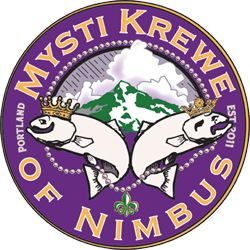 In addition to the Ball on February 18, Portlanders join the Mysti Krewe of Nimbus on Fat Tuesday Evening – February 28th, 2017 – for the annual free, family-friendly Mardi Gras Day Parade down Mississippi Avenue. 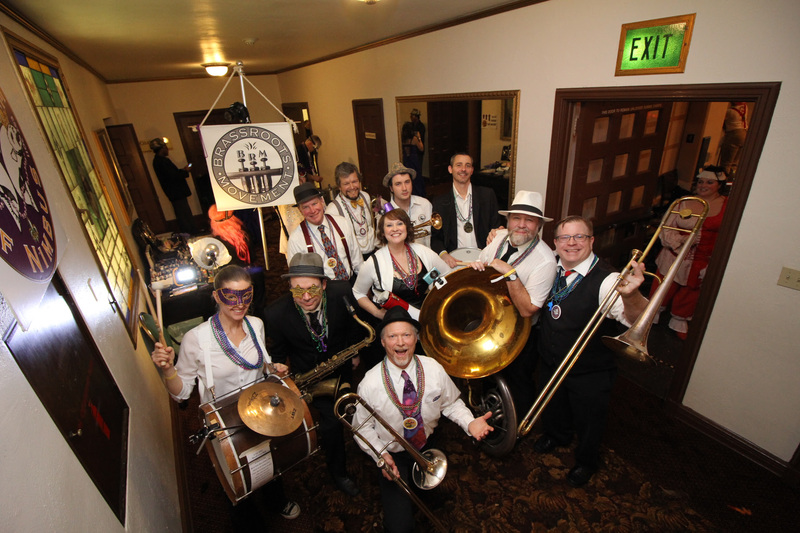 Performers for the 2017 Portland Mardi Gras Ball include: the Northside Skull and Bones Gang; the Too Loose Cajun and Zydeco Band; BrassRoots Movement; and an All-Star Funk Revue featuring LaRhonda Steele, Karen Lovely, Christopher Worth, Michael Quinby, Dan Berkery, Chuk Barber, and Steve Kerin.